The 4 Series Convertible retains all the fun of its coupe sibling, without the roof of course. Instead of waiting for the next Transformers sequel, perhaps you can just watch the BMW 4 Series convert from coupe to convertible. As you may have already heard or read, the 3 Series Coupe and Convertible models have become the 4 Series, so essentially, this car we have here today is just a new generation of the 3 Series Convertible. 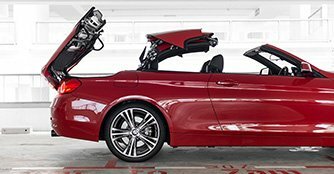 The name may be all new but since the 4er Convertible is the new 3er Convertible, the concept of having a dynamic and balanced proportion whether top up or down stays the same. 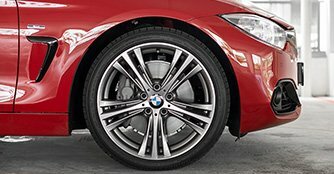 Measuring 4,638mm x 1,825mm x 1,384mm (L x W x H), the 4 Series Convertible is 26mm longer and 43mm wider than its predecessor. Despite the increase in dimensions, the new rump fits in nicely with the handsome front fascia of the 4 Series and allows the car to look as elegant as ever. The 4 Series Convertible looks much more stylish than its predecessor, in particular, the way the roof is integrated. With the roof in place, the convertible no longer looks awkward. In fact, the convertible could easily be mistaken as its coupe sibling at a quick glance. Unlike its coupe brethren, the convertible has larger rear windows which livens the interior, allowing rear passengers to feel a little less claustrophobic. On the flipside, with the top down, there is practically 'unlimited' headroom. And with a wheelbase that is 50mm longer at 2,810mm, passengers also enjoy more legroom, making longer journeys more comfortable. It's not surprising that convertibles are not associated with practicality - the folded roof has to go somewhere eventually. But it's not that bad in the 4 Series Convertible - luggage space is 370 litres with the roof up (20 litres more than before) and 220 litres with the roof down.